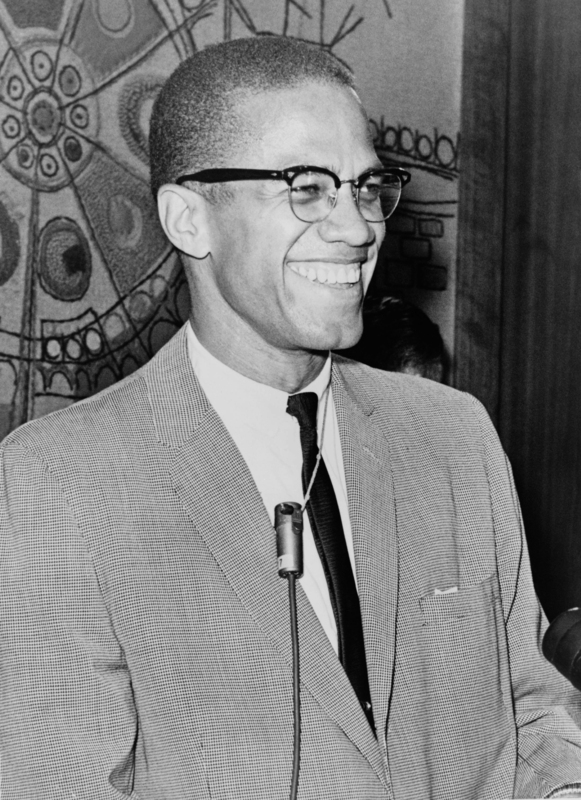 May 19th marks one of the most heroic individuals in American history, the birthday of El Hajj Malik Shabazz better known to the world, as Malcolm X. Malcolm X was one of the most extraordinary individuals to walk this earth because unlike a lot of other heroes and martyrs that just appear on the scene as born leaders. Through Malcolm’s autobiography one is able to see Malcolm’s evolution from a young man unable to accomplish his dreams because of racism turned pimp, thief and street hustler to a champion of world causes after his pilgrimage to Mecca. There are a lot of things that Malcolm accomplished in his lifetime and I am particular grateful for him and King for reasons not commonly mentioned and noticed. This is because I like a number of people see him as being what I refer to as a heroic ancestor, an aakhu. That is an ancestor that people from all over the world can look to for inspiration. You see, coming from a Christian background and wondering if the faith my family professed to believe in was correct or not. Both Malcolm and Martin in my eyes broke the religious dogma ceiling. To understand this it must be understood that prior to Malcolm and Martin coming on the scene. I believe that a lot of people were still stuck in that spiritual rut that you had to belong to a particular faith or profess a particular belief in order to be saved. If you did not belong to this particular faith, affiliation or denomination, it was assumed that you were going to hell. This dogmatic belief still exists in many religious organizations but it is slowly changing. For me it changed after I learned that Malcolm met with a number of people from around the world. 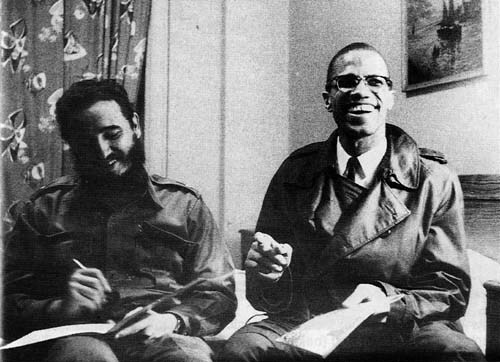 One of the individuals that Malcolm met with was Fidel Castro, which I forgot about until I met my padrino (godfather) a black Cuban, who talked extensively about Malcolm. I remembered when I was learning about the Rastafarian Movement, I discovered that Malcolm’s autobiography was once banned in Jamaica. Why I wondered. It was because a lot of people could identify with Malcolm’s transformation and like Hon. Marcus Garvey his influence was strong and growing. A lot of times, many of my Christian friends ask me how can I associate with people from various religious faiths? I tell them that it is because of Malcolm. Malcolm I remind them came from a Christian background. Malcolm’s father was a Christian preacher murdered by fellow men who claimed to be Christians. There were a lot of traumatic events that took place in Malcolm’s young life, which made him hate God. It was because of these events, there was no way that he was going to return to church. God had to reach Malcolm another way, so it was through Hon. Elijah Muhammad’s Nation of Islam and finally Sunni Islam. This is why he was able to accomplish so many things and appeared to be ahead of his time. It was because of Malcolm’s religious faith, he was able to meet with others and respect them for what they believe. A true example of what it means to be a follower of God is to be able to respect others regardless of what they believe. This takes a lot of spiritual courage and growth to do, which he and Martin both were able to accomplish. 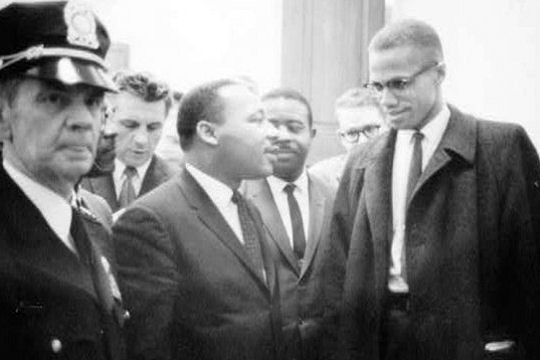 It was through Malcolm and Martin’s heroic works and devotion that I came to understand that God is not concerned with our affiliation, background or what we call our selves. God is only concerned with the heroic works that we do for our loved ones, community and humanity overall. Whatever affiliation, background, associations, etc. that we deal with is meant to help us to fulfill our destiny and do the works of God. It has nothing to do directly with our relationship with the Divine. This is important for us to understand because right now some of the most religious people in the world. Are also the biggest warmongers and perpetrators of the most heinous crimes committed in the history of the world. So, in this sense Malcolm symbolizes true revolution, true change by reestablishing what it means to be an ancestor, thus putting salvation back in man and woman’s hands. Meaning you are responsible for your own evolution, not God. Your spirituality is between you and God. In other words if you were to physically die and see God, would God be pleased with what you are doing? This is one of the point symbolized on the maa aankh. Another thing that Malcolm signified through his works is that you can’t have physical change without money. Could this be the reason why Malcolm met with Fidel to understand how to fund change? Not sure. What I am sure of is that you can’t create real lasting revolutionary change without any money. And, when I say money I am not talking about greenbacks, but assets baby! This is something that we all need to learn about, the difference between assets and liabilities. Too many of us have liabilities and not enough assets. So, this May 19 lets remember Malcolm not only for all of his cultural contributions. Let’s honor his memory by reflecting upon what we need to do to become an honorable ancestors ourselves. Let’s become more responsible for our own physical and spiritual salvation and the salvation of our communities.